When the Pop Art superstar teamed up with the iconic beauty brand, it was a walk on the wildly creative side. 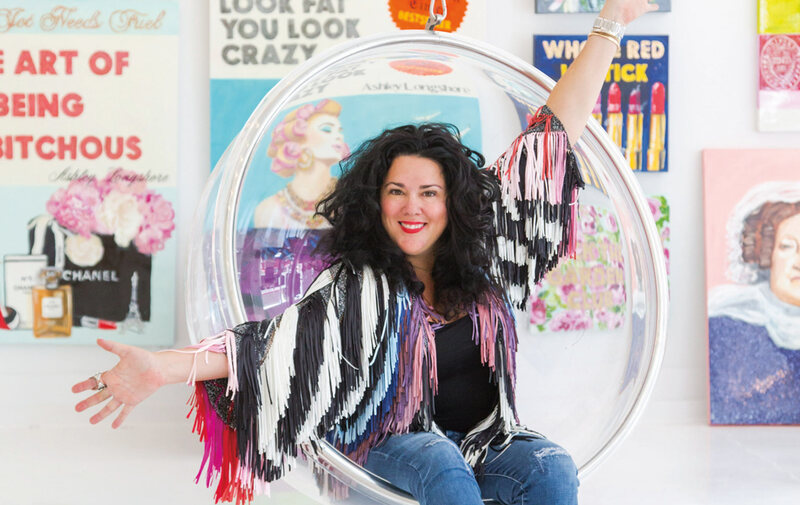 Ashley Longshore doesn’t paint strong, powerful women because she wants to be them. She already is them. A phenomenally successful artist whose work is collected by celebrities and a long list of devoted fans, she’s riding a wave of talent and business acumen right into a holiday collaboration with Clé de Peau Beauté and a book deal with publishing powerhouse Judith Regan. That’s one book you’ll want to pick up. This straight shooter with audacity to spare refuses to adopt a “public face” and a “private face”—a common side effect of achieving prominence. She’s just Ashley: enviably confident, hilariously frank, and unrepentant about the curse words that pepper her speech, a by-product of the passion she feels for whatever topic she’s discussing. It’s not for shock value; it’s just her. And if some are left clutching their pearls in dismay? Well, her give-a-damn is broken. A born-and-bred Southerner, Longshore now lives and works in New Orleans. She loves everything about the South—from the food to the men—but she feels most at home in the free-wheeling Crescent City, where inspiration comes easily and its bold, untamed spirit matches her own. As it turns out, she could. She went about her art career strategically, concentrating on the business as well as the creative side from the very beginning. History is littered with now-revered artists who were poverty-stricken unknowns during their lifetimes. It wasn’t a blueprint Longshore was eager to follow. Instead, she played a numbers game. She exhibited anywhere she could, and if people wanted to see her art, she packed up every piece and drove to their homes. That was eighteen years ago, mind you; today, buyers come to her. And, boy, do they come. Loads of celebrities have added Longshore’s Pop Art to their collections, a fact that she’s not too cool to admit is pretty cool. However, she’s also quick to point out that she appreciates every single one of her collectors, from the movie stars to the young couple who saves for six months to buy a painting. There’s an intimacy to the transaction, she contends, because the truth is that someone is choosing to buy her thoughts and live with them. There’s an intimacy to the transaction, she contends, because the truth is that someone is choosing to buy her thoughts and live with them. Longshore’s artistic energies, not limited to canvas, frequently venture into mediums from film to furniture. Asking her to choose a favorite form of expression is like asking her to pick the best part of a twelve-course meal, she chides. 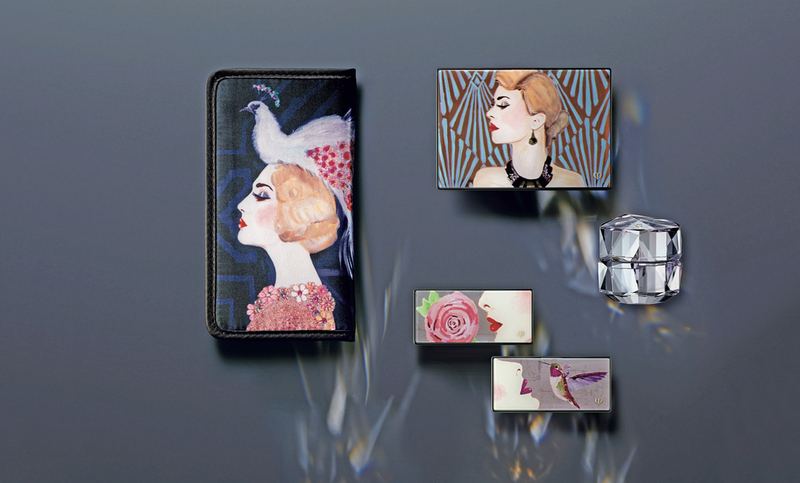 Each makeup palette, as well as the Limited Edition La Crème crystal case, features Longshore’s art—a perfect gift for any occasion! And customers are obsessed with the Longshore-Clé de Peau Beauté partnership. Record numbers of people turned out for a trunk show at the Dallas Neiman Marcus, and the line has sold faster than any other Clé de Peau Beauté holiday collaboration. Longshore is understandably proud of the enthusiastic reception, especially given that she had complete artistic freedom with the package designs. 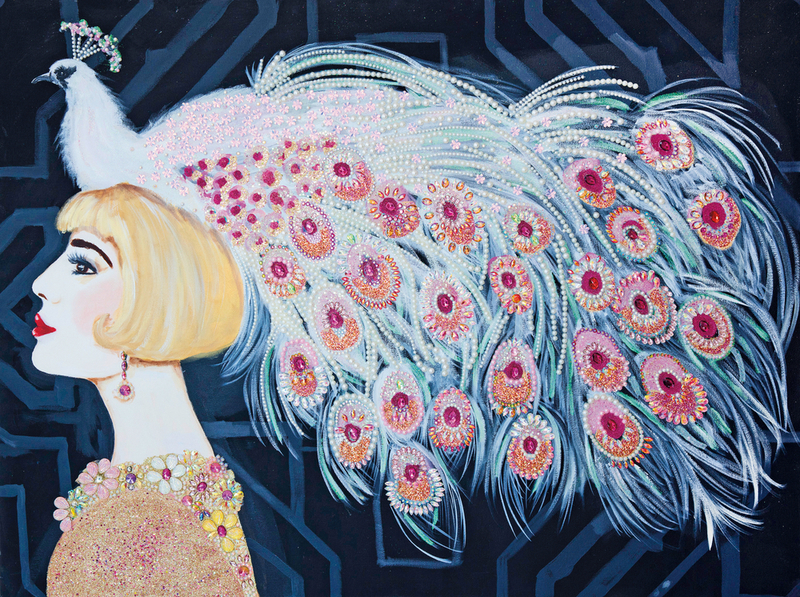 She drew inspiration from the camellia, the symbol of Clé de Peau Beauté, as well as the Art Deco era’s joyful take on beautifully resilient women. The holiday collection also benefited from Longshore’s built-in audience. She convinced Clé de Peau Beauté to let her team run with the marketing, assuring the company—correctly, as it happens—that her collectors would snap up the products. 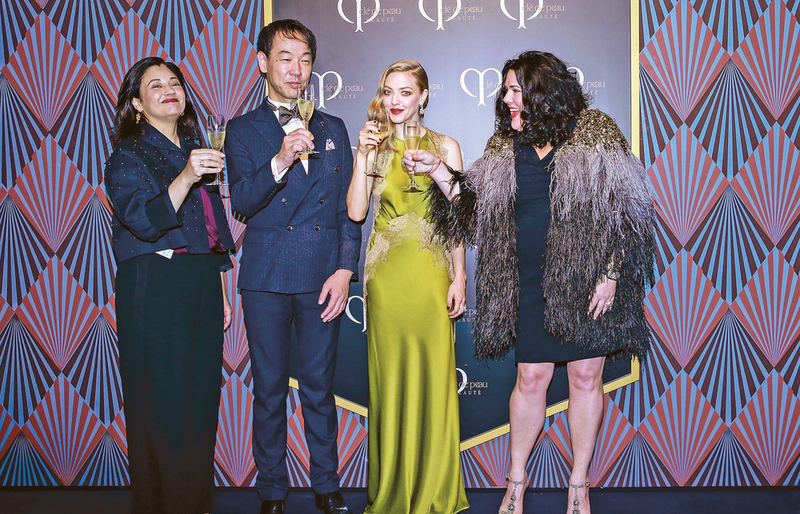 Clé de Peau Beauté brand director Roxana Daver, Shiseido China president Kentaro Fujiwara, Clé de Peau cover girl Amanda Seyfried, and artist Ashley Longshore attend a press event in Shanghai in 2016 to announce the collaboration. Clé de Peau Beauté also agreed to feature Longshore’s original art alongside the makeup and skincare products on its website. Unsurprisingly, the artwork has sold well, too. Insisting she’s never been so inspired in her life, Longshore is also not so coincidentally free of the fear that plagued her as a young artist and has built up the capital to do pretty much whatever she wants. She can, for example, write a candid memoir, You Don’t Look Fat, You Look Crazy: An Unapologetic Guide to Being Ambitchous, at the request of publishing mogul Judith Regan. Her fans will be happy to know that she’s not abandoning the women who’ve helped her get this far, though. Audrey, Frida, and the other luminous women she paints are her virtual girl squad and visual reminders to be brave, to be strong, and to be present. She’s a big believer in celebrating today, perhaps because she’s so in love with where she is right now. We’ll let you get to it, Ms. Longshore.